Endlich gibt es den Bestseller Heimwehküche auch auf Englisch - für alle englischsprachigen Fans der deutschen Küche! 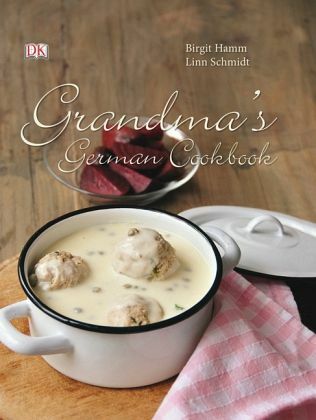 The best of German cooking: crispy fried potatoes sizzling in the pan, savory cabbage rolls with lots of gravy, Christmas stollen... nobody makes them better than Oma.The flavors of Germany come alive in 85 classic recipes, as do the stories of six real German grandmas who are locally famous for their heartwarming food. If you want to explore the rich tradition of Germany's cuisine, Grandma's German Cookbook is a wonderful addition to any kitchen.